Nektarios Chrysoulakis gave a live interview regarding the results of URBANFLUXES project during the news of CRETA channel on 20 March 2018. 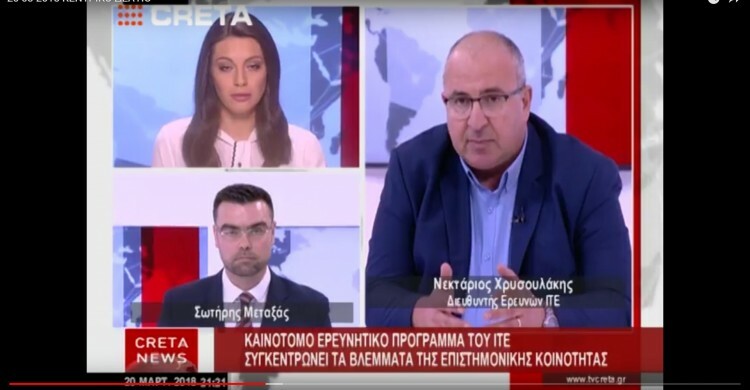 Nektarios discussed with the news hosts about the project goals and results, the scientific accomplishments during the last three years of research and the knowledge gained regarding the urban energy budget of the three case studies. The interview focused mostly on the case study of Heraklion, the significance of the installed infrastructure in the city and the multiple benefits of URBANFLUXES results towards efficient planning in urban heat stress mitigation.